Surrey Translation Bureau has received the prestigious Corporate Member Award from the Institute of Translation and Interpreting. The company was named winner at the Institute’s international conference and gala dinner in Cardiff, Wales, on 19 May. It was recognised for its high-quality, personalised service to clients and freelancers; tailored internship and university programme preparing students for industry requirements; rigorous company evaluation process and positive feedback from suppliers – 97% said they would recommend the company to their peers; and its commitment to industry groups and continuing professional development for staff. 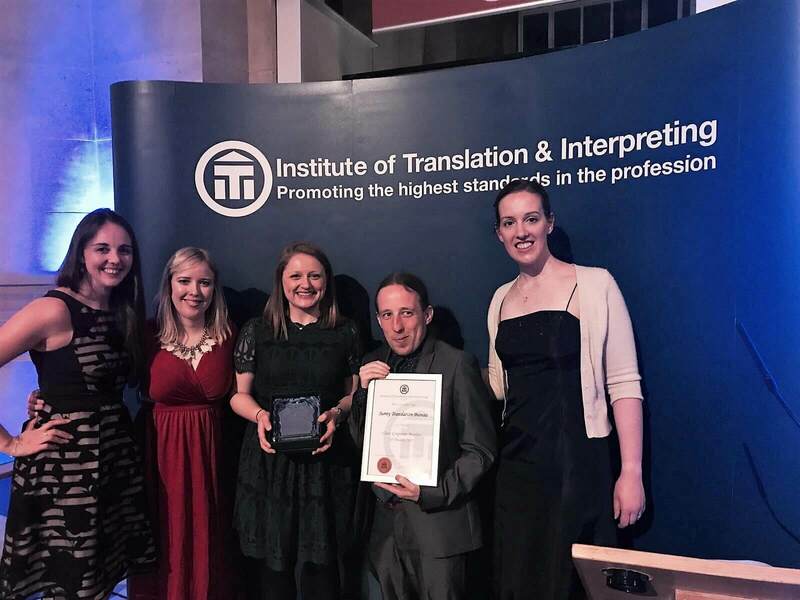 Surrey Translation Bureau is the first winner of this award since the introduction of the Institute’s new, expanded awards programme which ITI has launched to recognise the best in translation and interpreting and to set a benchmark for what quality and professionalism should look like in the sector.